We have been busy at Rosa Parks this year helping to build a mural in the lower garden with the help of parents and staff. 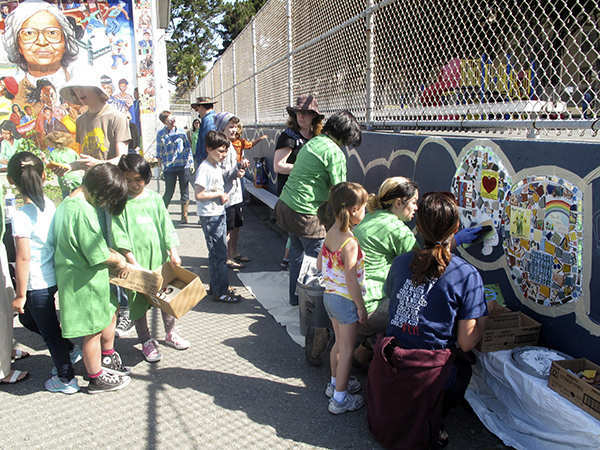 The caterpillar included tiles painted by many families who donated to the PTA and garden project for the upcoming school year. On April 29th Starbucks elite, in town to celebrate the 20 years anniversary of their first San Francisco store, on Union Street, came out to help with the Rosa Parks Mural. 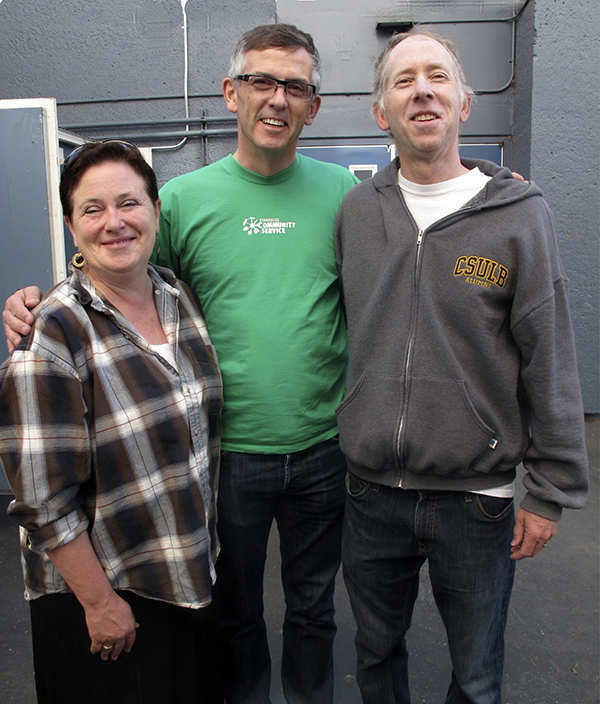 Among them was Cliff Burrows, Starbucks President who mingled with parents and staff, including Barbara Fujimoto and Principal Paul Jacobson. . To see more photos of the Rosa Parks Workday and Caterpillar making, click here. 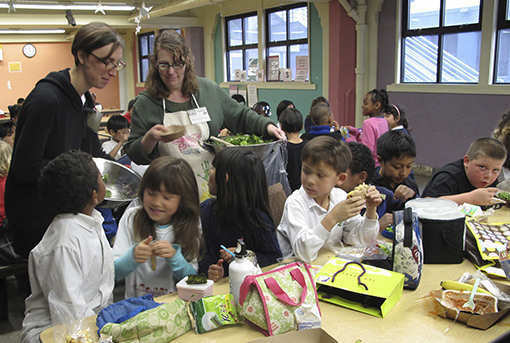 Another great event that happens every month at Rosa Parks in the cafeteria is Salad Day, presented by the students and PTA leaders Regina Deacon and Lesley Golkin, shown here distributing salad to enthusiastic students. Go healthy kids! For more Salad Day photos, click here.